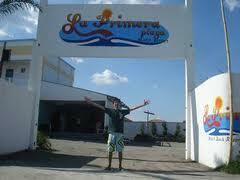 Another escapade place for summer outing is the La Primera Playa beach resort in Bataan, Morong. See resort map guide to learn how to get there via commute or if you have your own car. Resort owner? Have your place listed. Send us a request and invite us to have your nice venue reviewed with photos and video of our family. 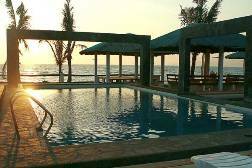 They offer complete facilities, cheapest room rates in their hotel and exciting amenities. In front of the Primera Playa resort, you can see the swimming pool for adults and children so you can swim if you don't want a beach sun burn. They considering one the Tourism Provinces in Luzon and virgin resort in Morong, Bataan. depending on the number of guests. * Guests may also order food catering services for buffet style, plated or packed. This must be scheduled with the management in advance. * Entrance Fee is 150 per head, but if you avail a room the entrance fee is waived provided that the number of people does not exceed the maximum capacity of each room. In excess 300 pesos per person will be charged. * Cooking is allowed, so you may bring your own food and drinks but a corkage of 50 pesos per head will be charged.